1. How many monitors do you want? In your work you may use only one screen or you may, like me, use two monitors and a laptop for design and video production. Take time to seriously consider the number of screens that will be optimal for the particular nature of your work! Presence of a second screen means more screen space, which affords more windows, less switching back and forth and hence savings in time and effort. You wouldn’t want to crane your neck and narrow your eyes to share a small screen between writing code and posting updates on Facebook. Sure, it may cost a little bit more to have a dual monitor arm, but according to a Jon Peddie research survey, you may end up being 20-30% more productive. 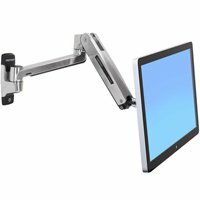 The Humanscale M8 Articulating Dual Monitor Arm with Double Crossbar might work well for you. 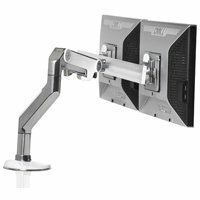 This monitor arm can hold two different monitors that weigh between 20-40 lbs each, it can tilt a total of 60 degrees and has a 22 inch horizontal reach. 2. What’s the make and model of your monitor? Make sure you know the exact make and model of your monitor before you start choosing a monitor arm. 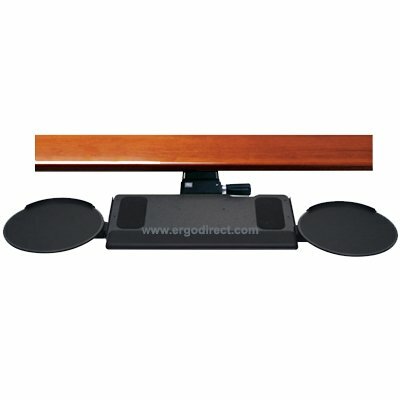 Monitor arms need to compatible with your particular monitor. Every arm has weight limits and will carry monitors of a specific weight and size. For all you Apple loving folks, compatibility is of special concern as not all Apple monitors are VESA compatible (VESA are the industry accepted standards for manufacturing and mounting monitors and displays). 3. Where do you want your monitor? Where you want the monitor to be located will determine your mounting option. 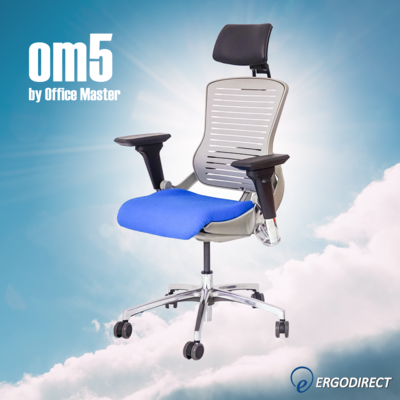 You may want your monitor on a desk, on the wall, on a pole or suspended from the ceiling depending on the nature of your work and space constraints. 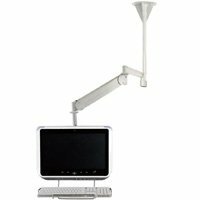 Generally speaking, a desk mounting arm tends to be for personal or individual office use and wall mounted arms are for multi-user public settings like a hospital corridor or library. But there is nothing hard and fast about the user profile of each arm and they are easily interchangeable. 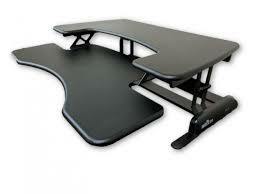 If choosing a desk mount, you’ll also need to choose how to attach the arm to the desk. Desk mount arms can either be mounted by a grommet (through a pre-drilled hole on the desk) or a clamp mount (C-shaped mount that attaches to the back or side of the desk). 4. What type of adjustability do you need? 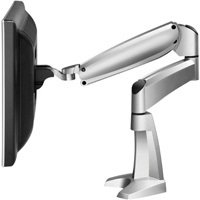 Ergonomically speaking, monitor arm adjustability is your main goal. How far should the arm reach horizontally? How far should the arm lift up and down? Both reach and lift depend on your own height, as well as your work, and the spatial conditions in order to make working on your machine a comfortable, painless, stress-free and productive experience. 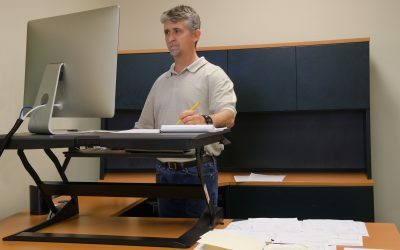 Some monitor arms have so much vertical lift that you can sit or stand while working. 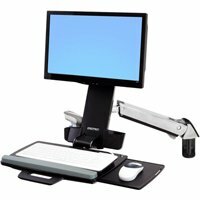 This StyleView combined monitor and keyboard tray arm adjusts 25” vertically, letting you alternate between sitting and standing. 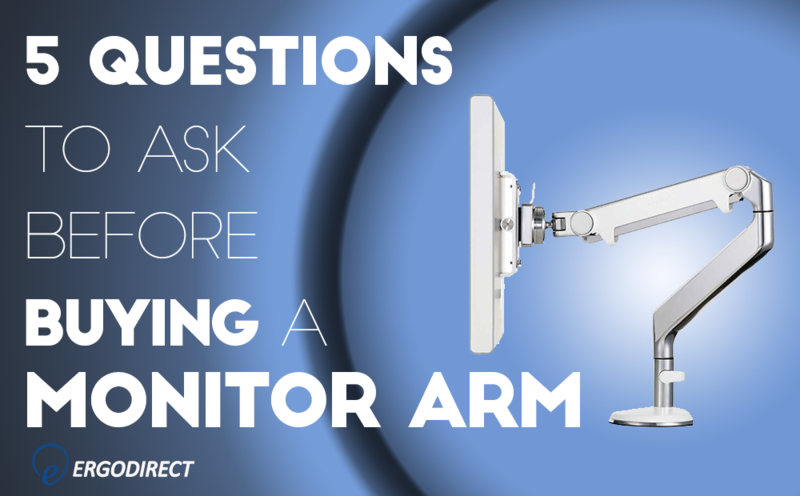 Monitor arms offer a wide price range for your choice between $80 to up to $400. Get the monitor arm that fits your budget! Have any extra questions or thoughts? Let us know in the comments!